When DC TV show mastermind Greg Berlanti first teased a musical crossover between The Flash and Supergirl on the CW, fans immediately figured out who the villain would be. Only one made sense — one who has never appeared in comics but sang his way into our hearts on an episode of Batman: The Brave and the Bold. 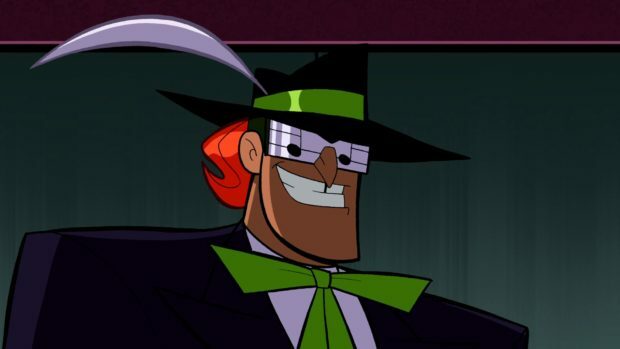 It could only be… the Music Meister. Finally confirmed this weekend by Berlanti during a Riverdale press junket, the Music Meister will pose a melodic threat so big it requires the singing talents of Grant Gustin and Melissa Benoist, both of whom were previously cast members on Glee. Berlanti says no casting decision has been made, but really… again… only one man should do justice to the character. It has to be the original voice, Neil Patrick Harris. After all, if only Mark Hamill can be The Trickster (and we all agree it’s true), only NPH can be the Music Meister. Of course, this is also a reminder of what a terrific show Batman: the Brave and the Bold was. Catch up on that in your spare moments.